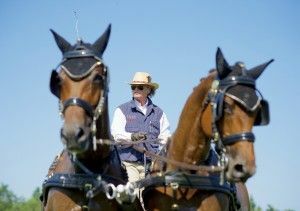 Mieke van Tergouw has sold her pair of international horses to American four-in-hand driver Jim Fairclough. Rolex (v. Scandic) and Lord (v. Lord Sinclair) have arrived safely at Fairclough’s Top Brass Farm in the United States under the supervision of their former groom Mirjam Heidema. 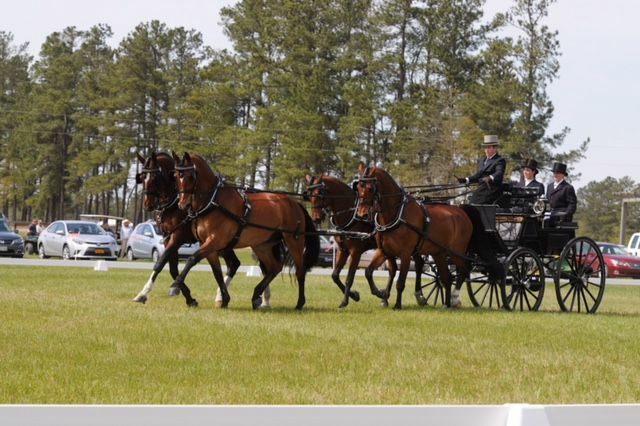 Fairclough has been actively competing a four-in-hand at the highest level of combined driving for many years. 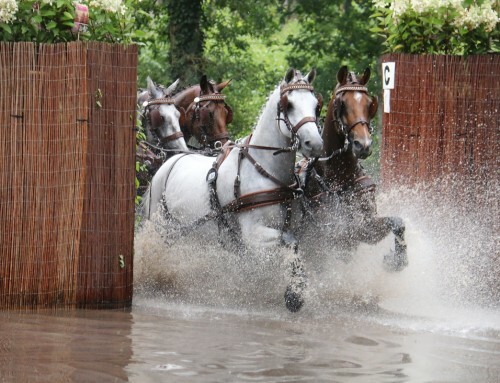 He has been National Champion a number of times and was part of the silver medal winning American four-in-hand team at the World Equestrian Games in Kentucky, as well as winning the team bronze at the World Championships in Riesenbeck the following year. 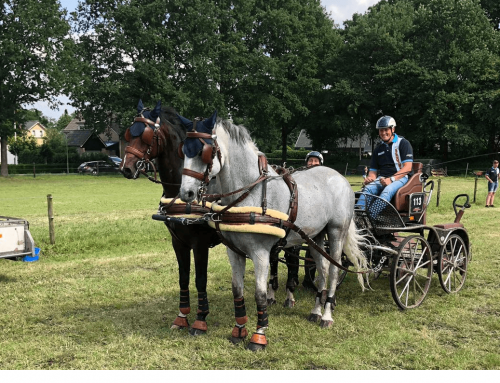 The pair of horses he has purchased from Van Tergouw will be added to his four-in-hand that are currently training towards the World Championships in Breda this year. Fairclough wants to not only improve his own four-in-hand but also be a part of the American team. Van Tergouw lives for combined driving. She coaches many drivers, sells and trains numerous horses and has in particular a passion for the coaching of youth to the international level. 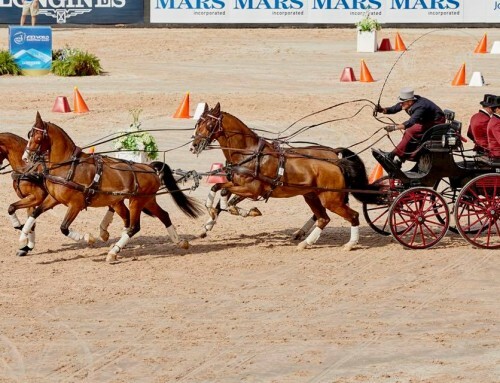 Van Tergouw has made a name for herself time and time again by supplying the top drivers in the world such as IJsbrand Chardon, Boyd Exell, Chester Weber and Martin Hölle with top quality horses. 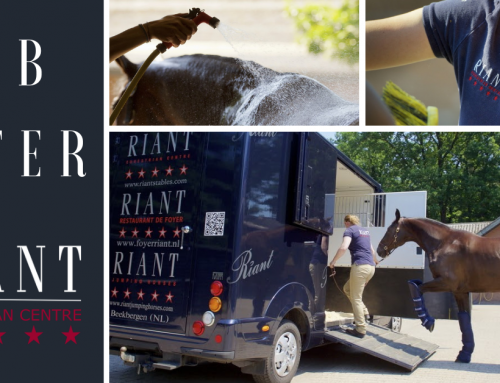 Many other top level drivers as well as recreational drivers have horses from the Riant Stables working in front of their carriages. “. In addition to the pair of horses from Van Tergouw, two more horses travelled with them to America. Riant Equestrian Centre sold these to Paul Maye of Team Harmony, who bought Edwin Speks team last year with Mieke’s help. 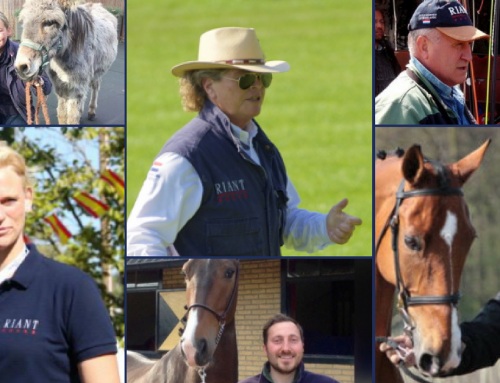 In the 18 months, Fairclough and Van Tergouw have sold 15 horses to the United States. “Bringing the all aspects of the sport to a higher level. That is my passion!”, says Van Tergouw.